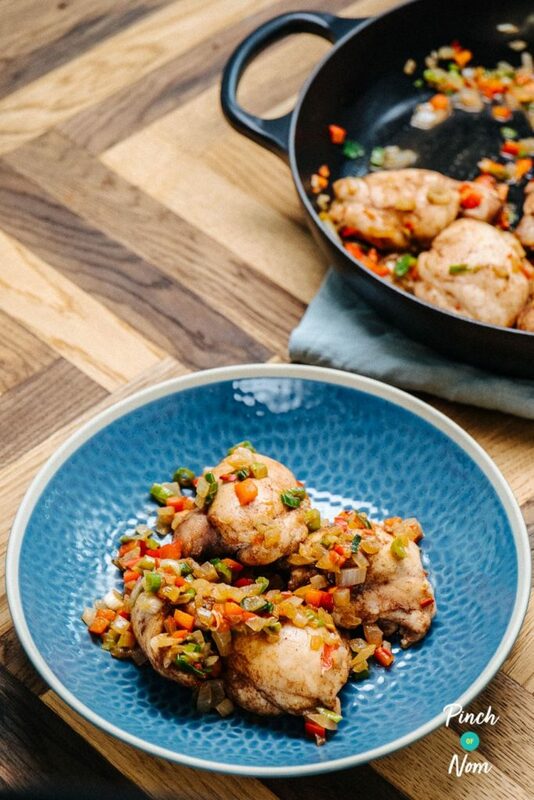 As you may know we’ve had a Salt and Pepper Pork recipe on the website for a while now, so we thought we’d add a Salt and Pepper Chicken to the list too. This was one of our favourite meals from the Chinese Takeaway. Crispy chicken (usually wings) seasoned with a spicy coating. Now, since starting on Slimming World Salt and Pepper Chicken Wings are off the menu, so we needed an alternative. We decided to use chicken thighs, but you could use drumsticks if you want. 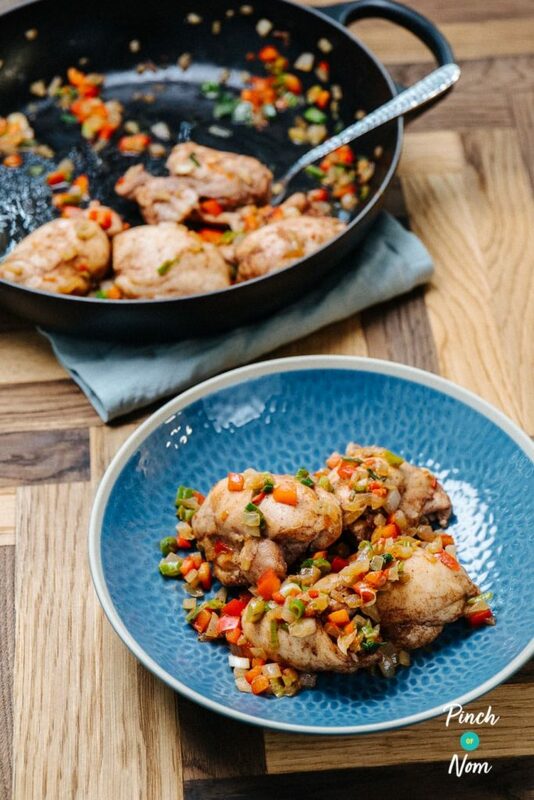 You’ll notice that the spice mix for this Salt and Pepper Chicken recipe uses a tablespoon of sweetener. As the recipe for the spice mix makes quite a lot you’ll be using a lot less than 1 tablespoon of sweetener per portion, so there’s no need to add any extra syns on for the sweetener itself. The quantities for the spice mix will make more than enough for the Salt and Pepper Chicken recipe, so you can just keep any extra spice mix in an airtight container or sealed food bag until you’re ready to use it again. We always have a bag in our cupboard! 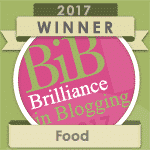 Or you could even try our Syn Free Salt and Pepper Chips or our Syn Free Salt and Pepper Pork recipe with what you have left over. 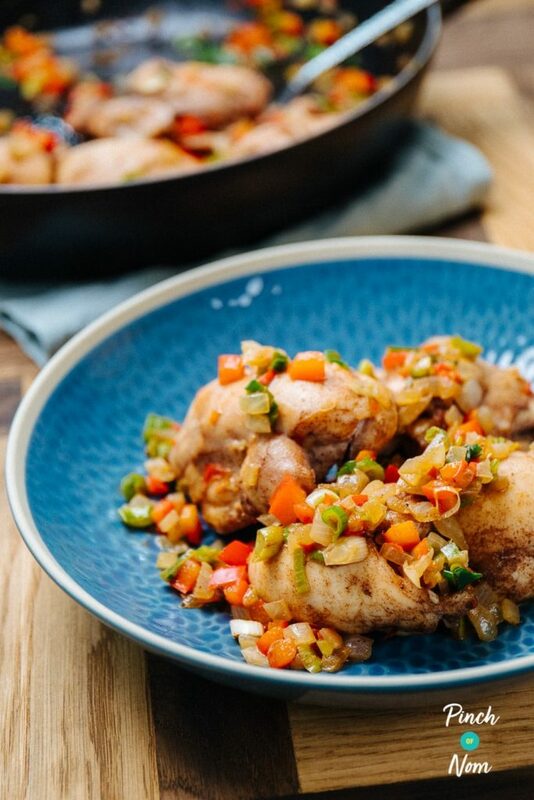 Some of you love this Salt and Pepper Chicken recipe! 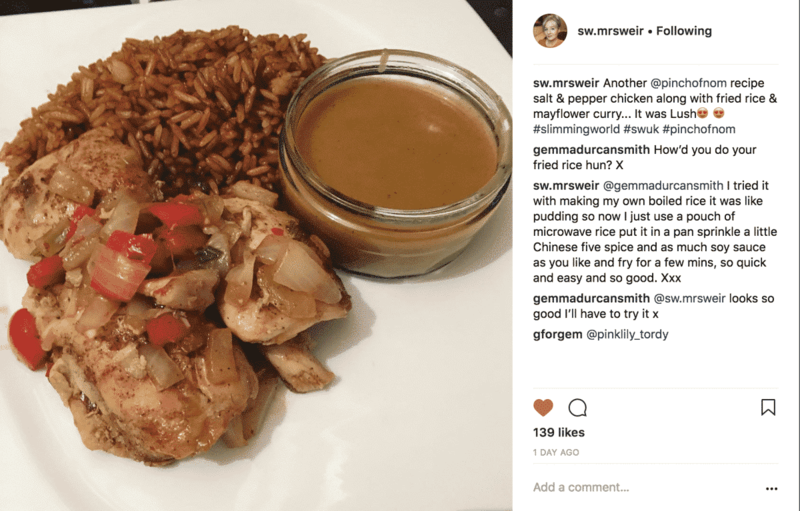 One of our Instagram followers @sw.mrsweir made this dish and loved it! 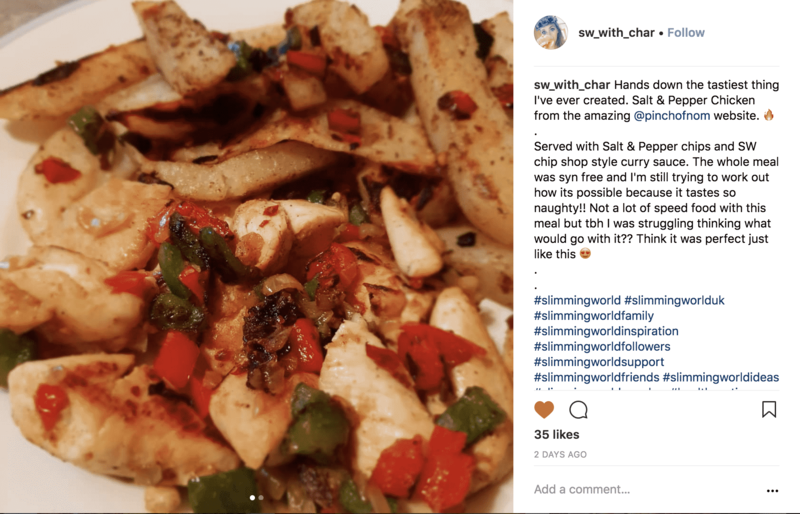 Another of our Instagram followers @sw_with_char made this dish and loved it too! 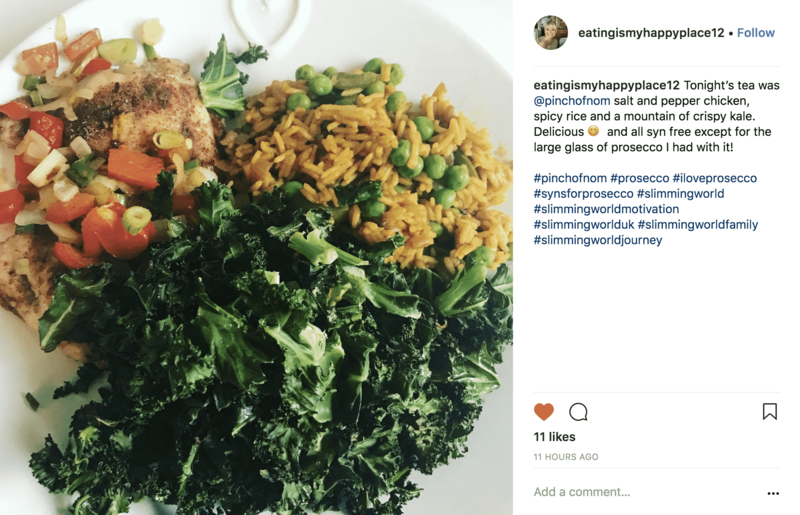 One more of our Instagram followers @eatingismyhappyplace12 made this dish and loved it! Like other Salt and Pepper Dishes? 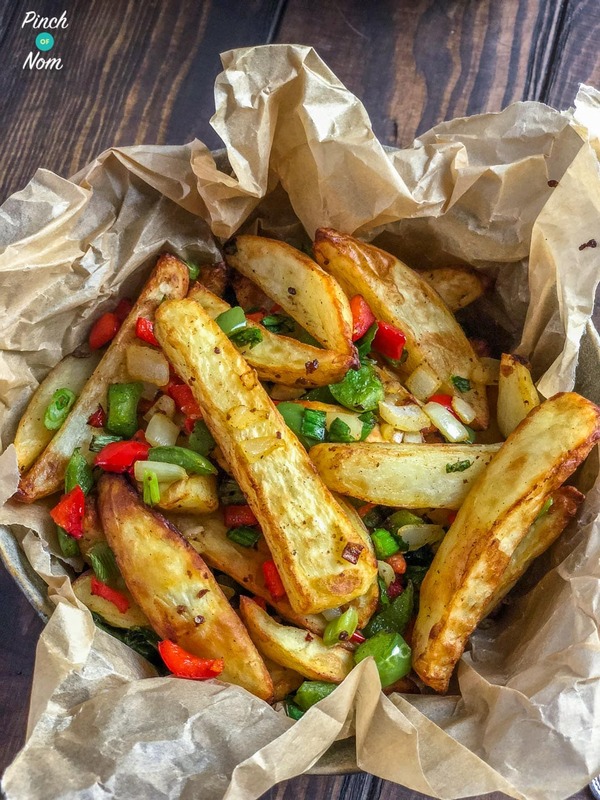 You should check out our Syn Free Salt and Pepper Chips! Looking for some more Chinese Fakeaway ideas? You’ll notice that the Salt and Pepper Spice Mix recipe calls for MSG or Monosodium glutamate. Monosodium Glutamate or MSG is a flavour enhancer commonly added to most Chinese food from the takeaway. There have been many debates about the use of MSG, so if you prefer not use it you can just leave it out. However, if you do want to use it you can buy it here on Amazon. 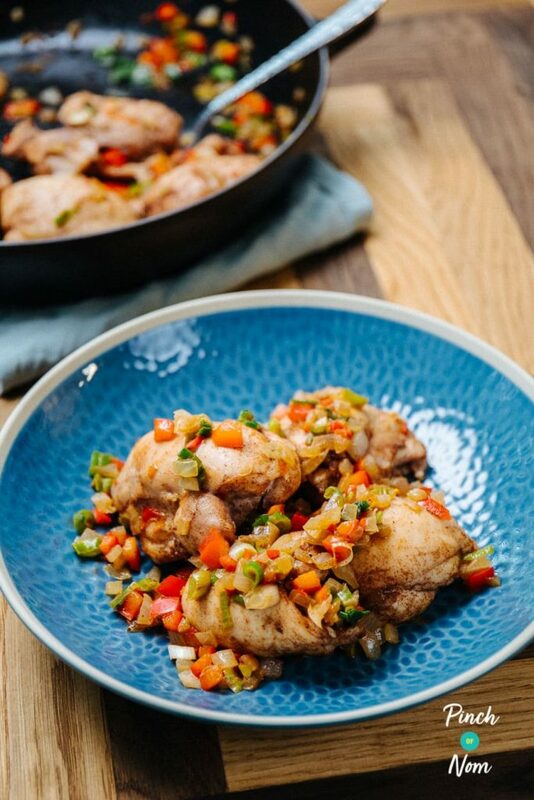 The Sunflower or Olive Oil flavours are ideal for this Syn Free Salt and Pepper Chicken recipe. Monosodium glutamate (MSG) is a flavour enhancer commonly added to most Chinese food from the takeaway. There have been many debates about the use of MSG, so if you prefer not use it you can just leave it out. This sounds delish and while I am here thank you for sharing you inspire me to keep going. Could I toast coarse Himalayan salt?? and would this freeze???? Looking forward to trying thus for tomorrow nights dinner. Just cooking this now, i hope its good as it looks! Would chicken breast work with this recipe? Just make it. Yum but I couldn’t get the salt to brown. Where an I going wrong ? I absolutely love this….and despite the warnings always put far too much spice mix in lol. I would love this dish but my other half really hates 5 Spice, both the smell and the taste. Any suggestions for alternative spices that would work nearly as well? There is such a lot of it used here that I don’t think I coukd just leave it out. We tried this tonight with a different sweetener and it’s far too sweet, it’s inedible. Have we done something wrong? I don’t like sweetener that much and havn’t had much success using it in recipies…would I be able to use sugar and syn it??? The salt flakes brown quite readily to give an authentic flavour, but rock salt has a tendency to pop and spit and doesn’t brown as well. This may spoil the overall flavour. Hope that helps. Made this for dinner last night and it was delicious. Served with syn free egg fried rice and cucumber for added speed. It was a hit all round! Had this and the chips with salad tonight, we added little more chilli as we like the heat, was not disappointed this has hit our top five favourite meals – big thumbs up from us. 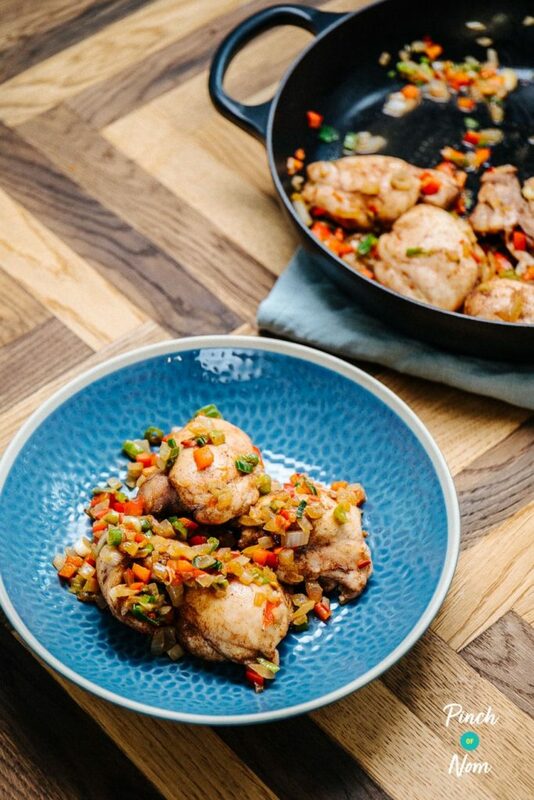 Hi, it is mentioned that rice vinegar is used in the salt and pepper chicken but I couldn’t find it in the recipe. I made this dish yesterday, it is so yummy. Thank you so much for sharing these amazing recipes, they always work out so well. 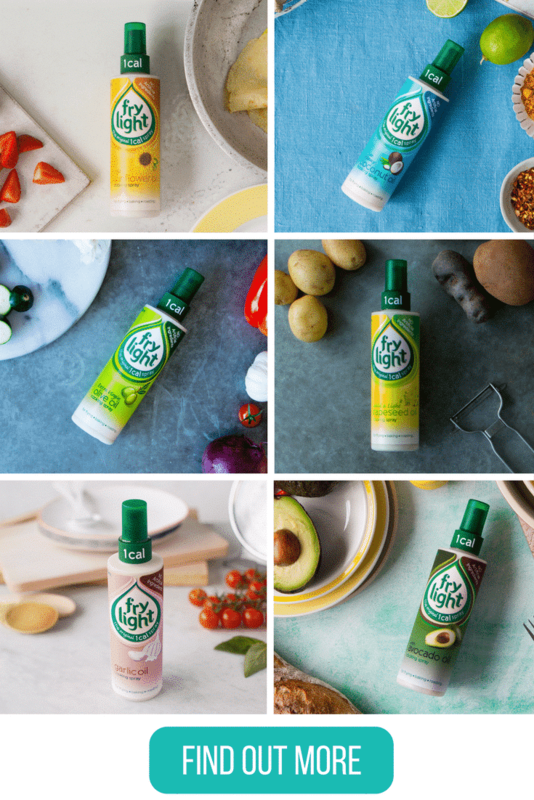 I’ve had another look at the ingredients, but I can’t find any mention of rice vinegar? Going to give this a try for tea tonight, I have some turkey breast strips so hopefully it will work the same with these! So glad you enjoyed it, Helen! I made this tonight along with SW egg fried rice. It was amazing. By far the best meal I have cooked so far. 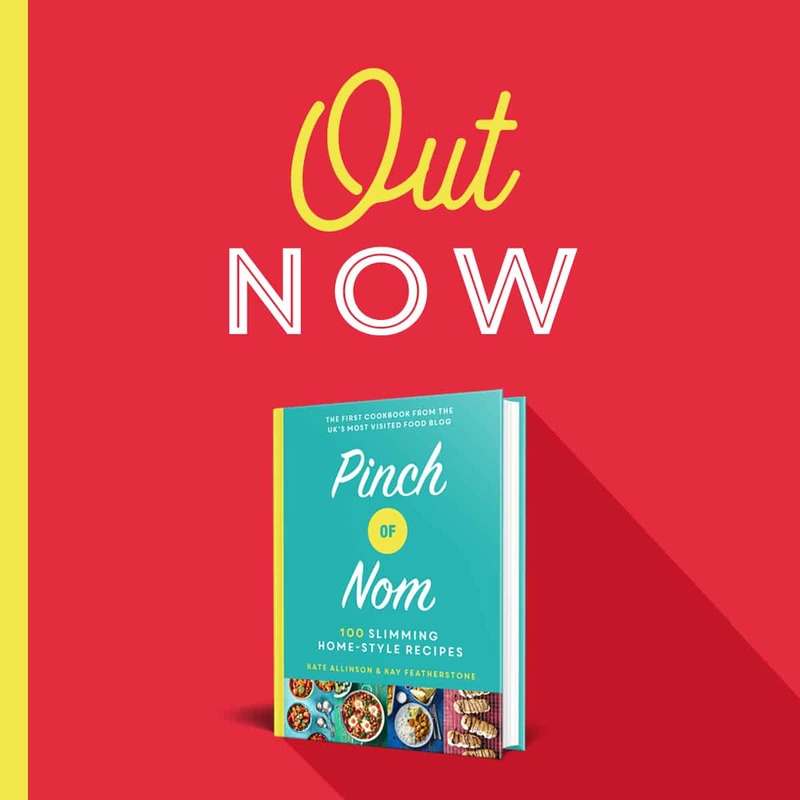 Thank you Pinch of Nom! So glad you enjoyed it, Lucy! One of my favourites, too! Can this be cooked in the ActiFry? We haven’t tried this recipe in the Actifry, but it’s certainly worth a go! Is there any way to get a crispy coating on the chicken and still keep it syn free? You can’t really get the same crispy coating as you would if the skin was on, sorry! If you tried to crisp the skinless chicken, the meat would just dry out. Hope that helps! I’ve made this twice already with chicken and once with prawns in the space of two weeks. It is absolutely amazing. Served the prawns tonight with pinch of no fried rice; that was delicious too. can i do it without the sea salt flakes and how does the spice mix not liquidize? As explained in the recipe, the salt flakes give the rest results. There’s no need to liquidise the spice mix as they ingredients are already powdered/ground. Too much white pepper for me, couldn’t eat it. Very fiery. Will try it again with half the amount of pepper. OMG. Just made this. To die for. Hi I am just about to make this but only have rock salt, will this be okay to use? The salt flakes brown quite readily to give an authentic flavour, but rock salt has a tendency to pop and spit and doesn’t brown as well. This may adversely affect the overall flavour. Stick with it, they take quite a while, but they will start to colour eventually! However, the purer the salt, the harder it is to truly brown the flakes. They will still have a toasted flavour. I am currently cooking this. My salt flakes have been on a very high heat for over 20mins and still no sign of browning! Do I just keep going? Some salts contain ‘impurities’ such as anti caking agents etc and it’s these that will make the salt change colour. If you are using pure salt (with no food additives) then it probably won’t brown or is less likely to brown when heated. They’ll still have a ‘toasted’ flavour though. I am making this tonight! Switching the thighs for chicken breast pieces and no MSG (can’t find it locally) then its free on WW!! Can’t wait to try it! 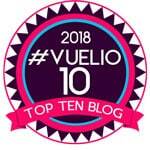 Love love your website. Just made the salt and pepper chicken and chips, OMG definitely have a new favorite. Thank you. Hi going to have a go at this today. Do you spray the pan before adding the salt flakes to toast or not. Made this tonight, absolutely fabulous. Would have posted a phot but unfortunately all a eaten. Can you give a bit of guidance to how long to toast the salt for please? I’ve noticed a few comments have said it takes a while but I’ve been going for 30 minutes and no idea if I’m ruining the salt as it still isn’t brown? Our recipe card suggests using chicken thighs or drumsticks, but you could try turkey steaks. You’ll probably need to adjust the cooking times slightly, as the turkey will cook more quickly and will become dry if overcooked. Hope that helps!